Everyone is so excited about the new year, so here's some reading to add to your list. Some short, some a bit longer, but all of added value! This book is exactly what it says--essential and little. 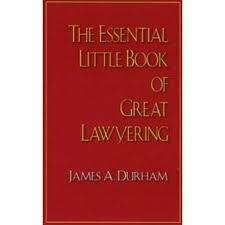 It's filled with short tidbits on lawyering and is just as good for those practicing law as it is for those thinking about law school. A long-awaited selection, this book puts together the many principles of Fashion Law we've discussed here and share with some of our Fashion Law Family. Fashion Lawyer Charles Colman is also featured in a chapter. Grab this one! 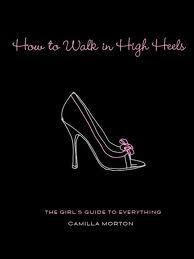 Not only is this a super cute book on the outside, but it has all the necessaries for women to learn on the inside. With tips including how to order wine, fix things with limited tools, and dress for certain occasions, there's no way any woman should not have this book! If you love Chicago like we do, this one is a must! It's a tale of the City's emergence as a World Class locale-- discussing the preparation to host the World's Fair, build structures fundamental to the metropolis today, and doubles as a mystery. Never a dull page. A little bit of politics, a little bit of law...and a whole lot of page-turning. This book gives an inside perspective on the world of politics and even journeys through a corruption case. 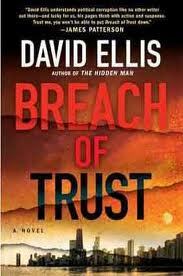 The author is one of our faves, and Breach of Trust did not disappoint!